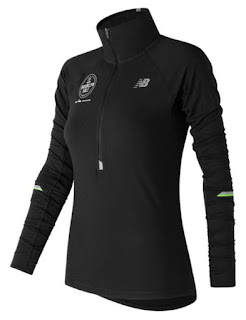 Today ONLY - this Brooklyn Half Impact Half Zip down to ONLY $16.99 (Retail $89.99). The race is on with this special edition of our Impact Half Zip Pullover. Made to celebrate the Airbnb Brooklyn Half, it features cutting-edge NB Dry moisture management and 3D stretch fabric give you an edge on the competition. Run like you mean it with the women's Impact Half Zip Pullover. Underarm mesh insets offer added ventilation, while thumbholes on the cuffs keep your wrists warm and stop the sleeves from riding up.